Delighted to announce that we will be hosting a weekend of European Table Tennis at our home venue of St Matthews Academy, Saltcoats on August 22nd & 23rd. 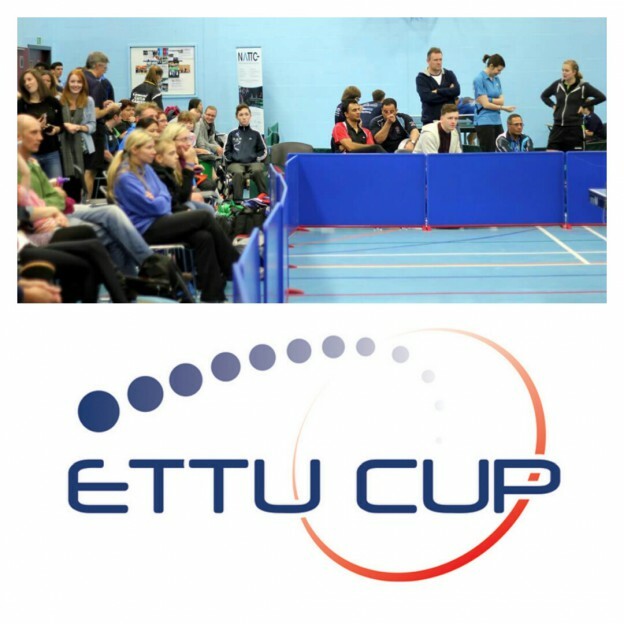 The draw was held this morning in Bratislava and will see teams from Belgium, Spain, Turkey & Romania head to Saltcoats to compete in round 1 of ETTU Cup. This will be a fantastic weekend of table tennis where we will be welcoming everyone to come along and watch top class table tennis free of charge. Matches will be at 10am, 2pm & 7pm on Saturday and 10am and 2pm on Sunday. We will post more information when we have it. GROUP A: Irun Leka Enea (Spain), CTT Royal Alpa Ixelles Schaerbeek (Belgium), GDCS Juncal (Portugal), TED Sports Club (Turkey). GROUP B: TT Vedrinamur (Belgium), Arteal Tenis de Mesa (Spain), Yalova Belediye (Turkey), SC Mioveni (Romania), North Ayrshire (Scotland). GROUP C: GD Toledos (Spain), Istanbul BBSK (Turkey), NTK Iliria (Slovenia), Montoutojas (Lithuania), ASD Marcozzi (Italy). GROUP D: Tenis de Mesa Rivas (Spain), Floraton Szeged (Humgary), Rio-Star Muttenz (Switzerland), Turk Telekom Ankara (Turkey), Sarkuysan Spor (Turkey). In each group, the team ranked 1st and 2nd will be qualified for the Second stage (9-11th October) where eight clubs will await them, divided again in four groups. GROUP A: Enjoy & Deploy Taverzo (Netherlands), TTC Sokah Hoboken (Belgium). GROUP B: Cajasur Priego (Spain), Fortune Kyiv (Ukraine). GROUP C: DT Diddeleng (Luxembourg), Yroni Givatayim (Israel). GROUP D: El Nino EHW (Czech Republic), STK Libertas Marinkolor (Croatia). From the Second stage again two top ranked teams from each group will continue to the 3rd round (30th October – 1st November) to face eight strong participants: Stella Sport la Romagne (France), Logis Auderghem TT (Belgium), DKV Borges Vall (Spain), Roskilde (Denmark), Istres (France), Trade Alliance Kiev (Ukraine), Halmstad (Sweden), Caen TTC (France). Rosklide and Istres played in the TTCLM in the last few seasons, whilst Caen is the very first TTCLM champion and now one of the favorites in ETTU Cup Men. This entry was posted in Latest News on 15th July 2015 by Chris Main.